Asengana is the solution to the splintered state of most writers’ creative process and tools–mine, and probably yours, too. Unless I’m the only one that uses folders with files I need to open just to remember why I’ve created them in the first place, has bookmarks for various web pages needed for research, and tries to use at least three software solutions to have that feeling of “I got it covered”. The efficiency of a writing software doesn’t come only from the ease of typing but also from the way in which it connects with the backbone of you book. You can create your novel, premise to final draft, using a writing software that lets you do all the planning you need: logline, synopsis, timeline, chapters, and scenes. All the research done for your book, characters files, settings, and the manuscript structure will be easily accessible in one place. Also analytics–from word count to graphic timelines and character’s map. Asengana will make irrelevant the A3 size paper or the wall full of post-it with your manuscript structure. The structural changes of your manuscript will be supported by analytics reports to indicate the inconsistencies that appear in the creative process. I’m certainly not the only one that wrote a scene with a POV that died four scenes back in the second act. When we defined Asengana as the Writer’s Way we thought about the right way to manage a project. There was that moment when I realized the transition from the self professed talented writer as is–pantser – to understanding the complexities of a plotline–planner. My storytelling freedom came from a well-defined structure and from applying my project manager skills to the writing techniques I acquired through learning and many failures. The choice of an Agile project management methodology, Kanban, comes from its universality and easiness to use. You will have a better framework for honing your craft as a writer. I look back at the younger me socializing with friends and complaining about the writer’s block. I let myself to be amused by my first published writings. Just for a few seconds. Then I get back to the present me who uses every free minute to write with a clear understanding of my hero’s journey, the short story structure with confidence in my research process. I’m the one who started Asengana, but I’m just one of the many that make it happen. Self-published writers at the start of their journey (me included), traditionally published writers software engineers, graphic designers are all part of a team with a plan: we will make the writing experience better. In 2019 we will enter in limited preview release stage. Asengana will give you all the tools in one place. And the ones we don’t have yet will be developed in the next two years. If you’re one of us, subscribe and share with your friends. Thank you. 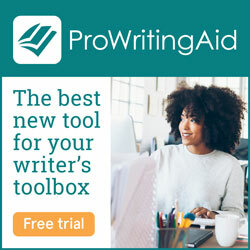 PreviousWhat can Asengana Writing Platform do for me?